Wedge and clawed inside-the-waistband holsters are gaining in popularity as their construction lends itself to better concealment; but what about consumers who already have an IWB rig but not enough funds to spring for an all-new wedged system? There’s an easy do-it-yourself wedged solution from firearms instructor Melody Lauer that involves a basic gel shoe insert and some hook-and-loop — all for under $10. A wedge is a piece of material added to an inside-the-waistband holster to aid in concealment. The wedge is placed so that it angles the muzzle of the gun outwards and away from the concealed carrier which, in turn, forces the grip of the gun to tilt inward towards the users all while conforming to the wearer’s body. The wedge is traditionally found on AIWB holsters as concealment in this position can often times be tricky; however, wedges can also be placed on traditional IWB holsters with the same effect. The addition of a wedge onto a concealment holster eliminates printing, expands wardrobe options and opens the door for concealed carriers to carry larger pistols. Though some holsters come with the option to add a wedge, many do not; but for gun owners who need the extra concealment advantage there is a way to create a wedge with only a handful of supplies. Wedges can be crafted from closed cell foam, such as the kind found in foam blocks, but there’s an even simpler means to gain the advantage of a wedge without locating or cutting foam. 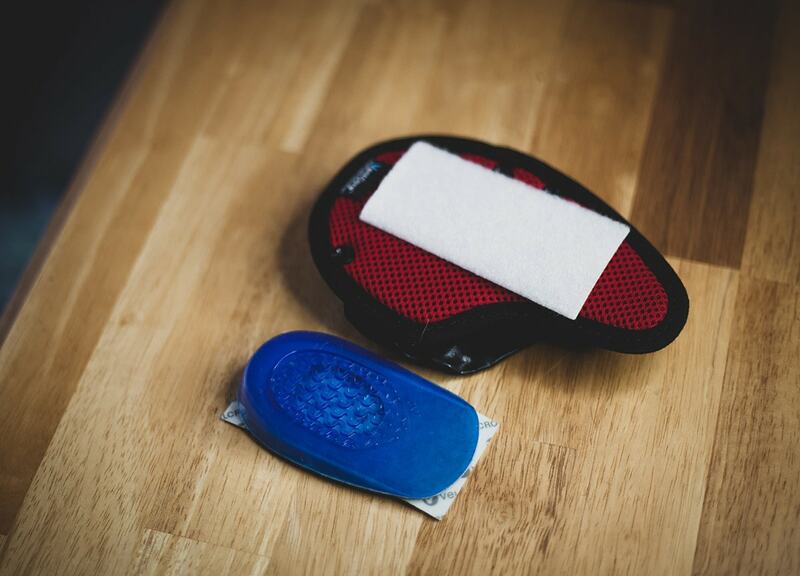 Gel shoe inserts, commonly found at pharmacies and retail stores, easily transform into a wedge system with some minor alterations. 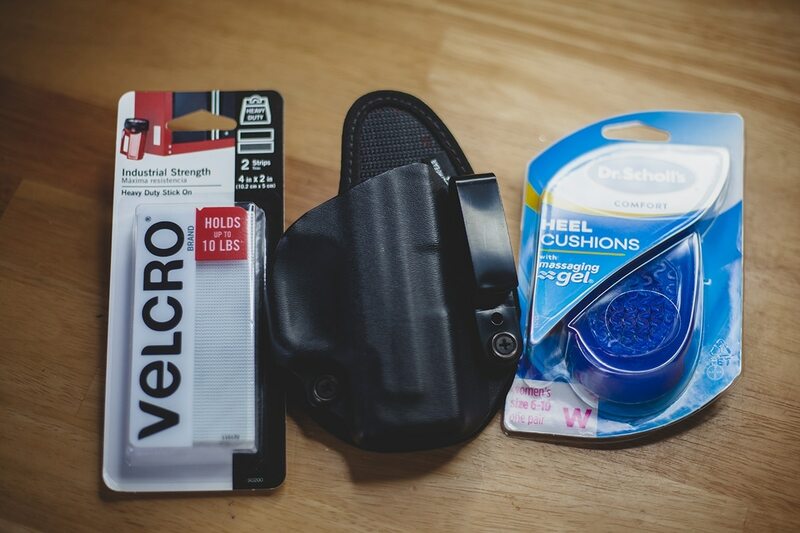 To create a DIY gel wedge, gun owners need only a holster, adhesive hook-and-loop (commonly known as Velcro), and a gel shoe insert. I find that for most IWB holster a women’s size 6 to 10 insert works best and requires the least alterations to work. 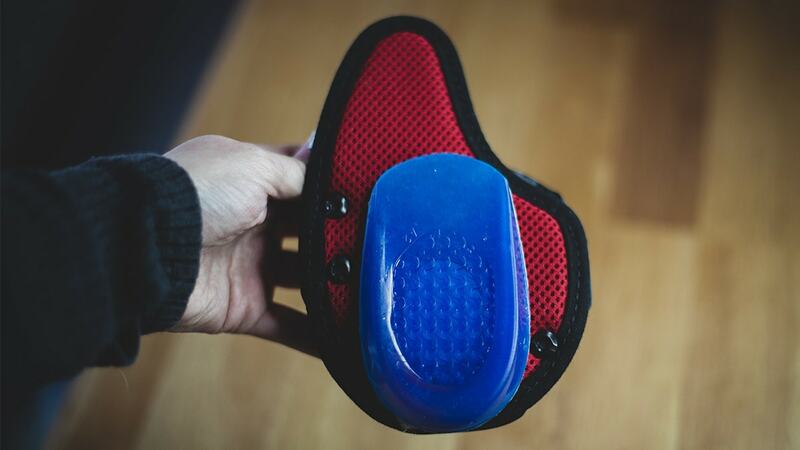 To create the wedge, verify that the gel shoe insert fits alongside the portion of the holster than comes into contact with the body. If the insert is too large, trim it down with a pair of scissors so that it fits the holster. Apply the loop portion, the soft side, of the adhesive backed hook-and-loop to the holster remembering that it needs to go low on the holster and on the side that comes in contact with the body. 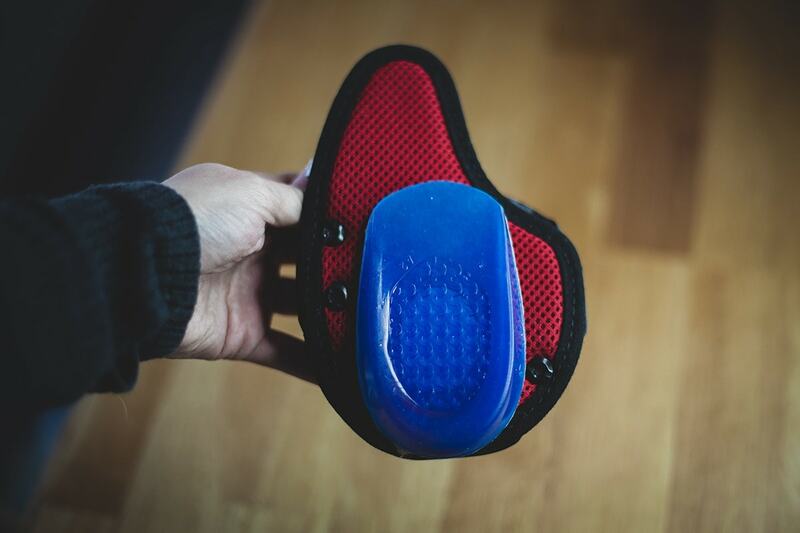 Apply the hook portion, the rough side, of the hook-and-loop material to the inside of the gel insert – where your foot would normally contact the gel insert. From there, simply match the hook-and-loop and voila – you have a DIY gel wedge. If you want a more permanent solution, glue can be added to the gel insert in order to mount it to the holster; but I prefer having an adjustable rig in which the wedge can be removed if I need to remove it. A wedge can up any inside-the-waistband concealment holster. Using a DIY method, concealed carriers can save both time and money to achieve the same results as commercial wedged holsters. All in all, this holster hack’s total slips in under $10.